Kitsuria Network - Fox Magic is Out! 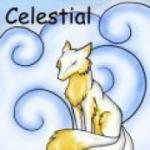 My kitsune-themed RPG is finally available in PDF format for $15. Any sales go towards helping the dead-wood version of the game into print. I worked hard on this, I hope you like it! If you have any questions, please feel free to ask, I'll keep track of this thread and provide what answers I can. Re: Fox Magic is Out! Awesome. When I get money, I'll definitely buy it, and maybe even consider using it for KitsuMUCK. I might be able to buy it at the end of the month. Depends on how much money I manage to rack up and what I'll have left after fulfilling other financial obligations. It is down temporarily, while we do some edits, and add content and art to it. Hopefully, it should be done and presented at the end of January. Sorry! As mentioned, Fox Magic is back out and for sale.